Re: The Mighty Mini Heavy Duty Big Dish Positioner is IN STOCK! 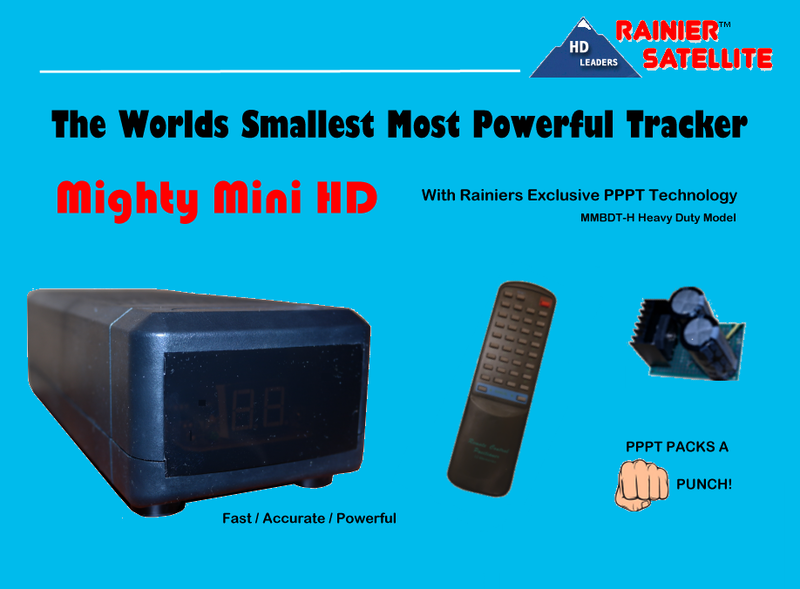 I ordered the Mighty Mini heavy duty model yesterday, gotta check out Rainier's PPPT technology. When I get it I'll hook it up for comparison to the standard unit I already own. I'll post when I'm done testing it. I'm extremely pleased with the regular Mighty Mini I have. Been working great. It's fast and accurate. I love the one button satellite tuning. Good job Rainier. If you need a great mover get one, you won't be disappointed. Just a update. I got the mighty mini hd. Been out of town with business so I didn't get the chance yet to hook it up. Ouick overview, I notice she's heavier then the regular model. Will get my comparison write up here as time permits. Here a list of features from Rainier's website. Heavy Duty Model (MMBDT-H) Recommended for up to 12 ft mesh dish, and for Cold climates or adverse conditions. PPPT 2x inrush current protected. M1 & M2 Surge / Spike protection. Nine element Power Punch Plus circuit with thermal overload shutdown. Large "easy to read" Green LED Display. Dimensions 3.75" L, 11.0" D, 3.75" H.